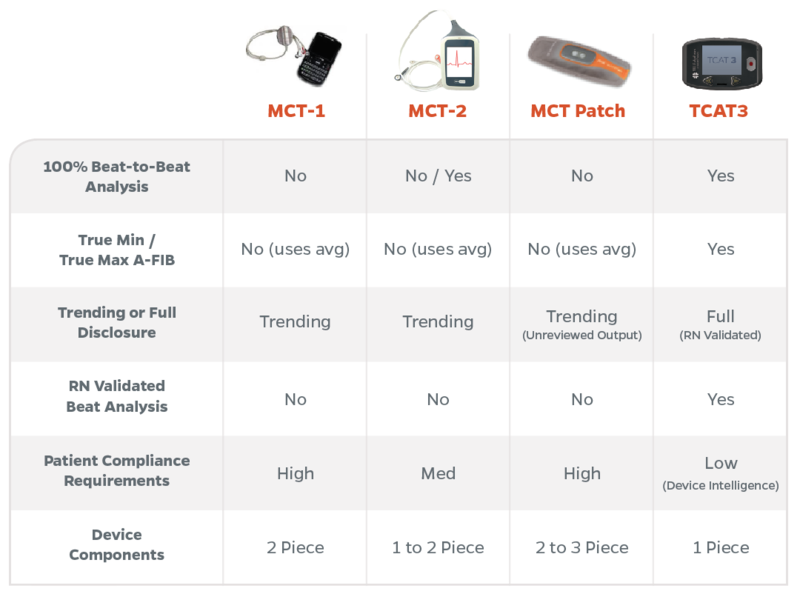 Are all MCT Devices (Mobile Cardiac Telemetry) Created Equal? Are all MCT’s Created Equal? As cardiac monitoring technology has developed, mobile cardiac telemetry (MCT) has proven to be the most effective method for identifying and managing patients with asymptomatic arrhythmias, complete syncope, medication titration, post CABG, and post ablation. But are all MCT devices the same? The short answer is no. 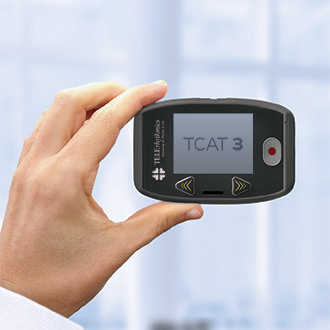 The Telerhythmics TCAT3 is a mobile cardiac telemetry device that incorporates the most industry advanced features and is supported by a staff of seasoned clinical experts. The device includes onboard patient compliance technology, is flexible, single component, and easy to use. The clinical features include Beat-to-Beat Analysis and Full Disclosure. A higher diagnostic yield, particularly when compared to holter or event monitoring. Improved outcomes when managing patients on antiarrhythmic drugs. Substantial cost savings in the hospital for ablation, CABG, heart/pericardium, and valve/septa procedures. Immediate access to potentially dangerous cardiac rhythms. The accurate and continuous capture of ECG information and the relay of critical data to the physician promptly and without the need for patient participation. Mobile cardiac telemetry devices and providers offer widely different features, and it’s important to know what type of MCT is being used before making a decision. Items such as Beat-to-Beat Analysis percentage, type of disclosure, and patient compliance requirements will all affect the net results. The chart below compares four types of MCT solutions and highlights the options you have. 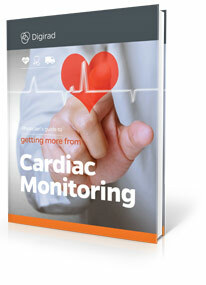 22 page e-book that explores the latest advancements in cardiac monitoring and what they mean for your patients.